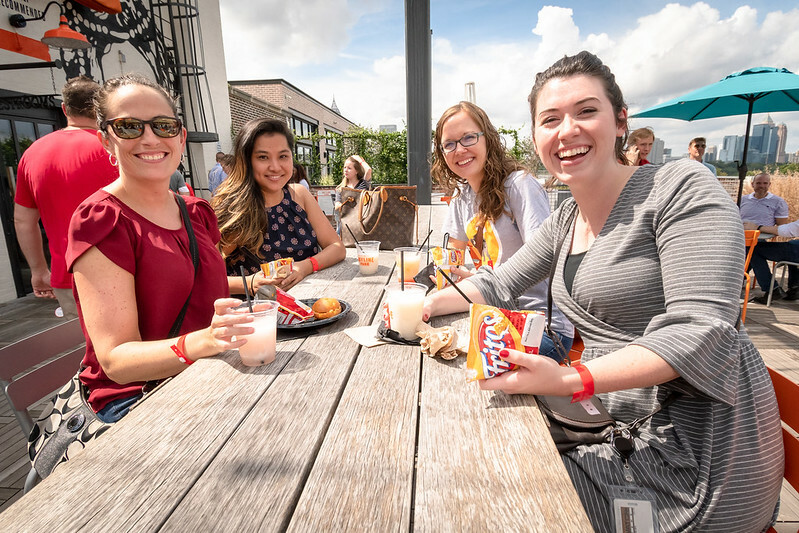 More than 400 Inspire Brands Global Support Center team members gathered on the Roof of Ponce City Market for an All-Team meeting and an afternoon of fun in the sun. The event gave Inspire team members a well-deserved break from their hard work as they were treated to a unique company outing. Inspire provided complimentary food and drinks, in addition to unlimited carnival games that featured 18-hole mini golf, a three-story Skyline Slide and the Heege tower — which gave team members an incredible 360 degree view of Atlanta.